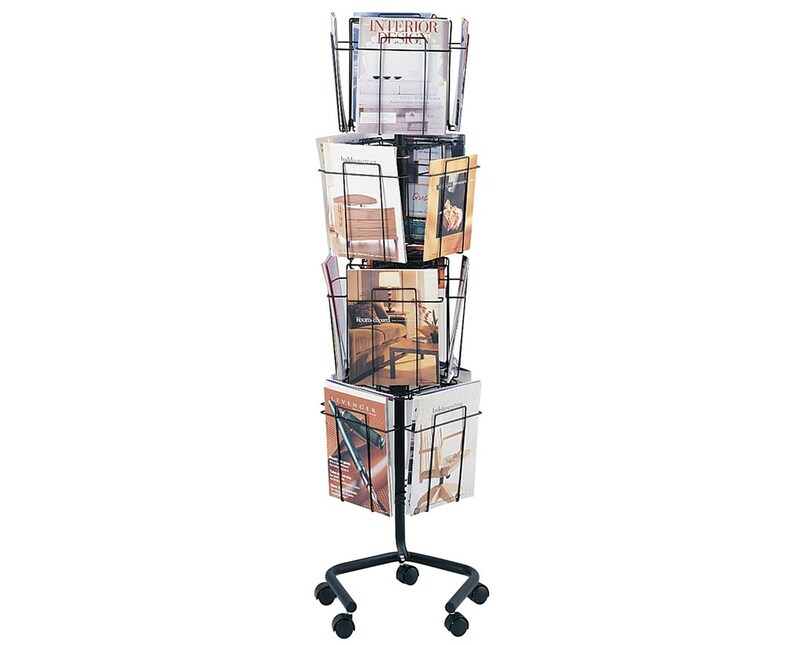 The Safco Rotary Floor Display is a tough and easy use stand for organizing and displaying printed materials like magazines and brochures. It features four layers of four compartments and each layer rotates independently from each other to provide easier access. Each compartment is 8.75 inches wide and has an open front for a full view of the contents. 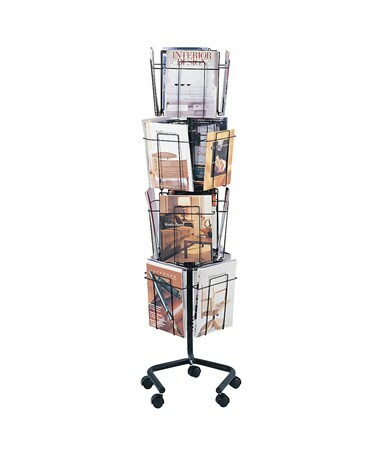 This magazine holder is mobile on five two-inch dual wheel carpet casters and two of these casters can be locked. It has a total weight capacity of 32 pounds and its compact knock-down design allows easy storage and transport. The compartments or pockets are made of 3.5mm steel wire, while the base and the frame are made of steel with a powder coat finish. It is safe for indoor use as certified by GREENGUARD.